Of all the great how-I-got-into-bartending stories, Ivy Mix’s tale has to rank among the best. At 19, she traveled to Guatemala, where she ran up such a huge bar tab at Café No Sé in Antigua that she had to start working there to pay it off. Over the next few years, her Latin American adventures also notably included smuggling mezcal across the Mexico-Guatemala border. 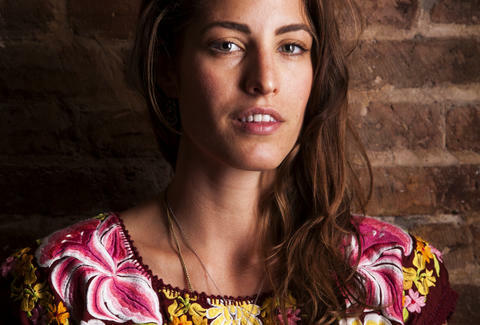 This obvious passion for agave spirits eventually led to her first job in NYC, working as a cocktail waitress at noted mezcal haven, Mayahuel, in the East Village. Bartending gigs at notable cocktail destinations Fort Defiance and Clover Club soon followed. Then, in 2015, she partnered with Clover Club’s Julie Reiner to open the mezcal-centric Leyenda in Carroll Gardens. It’s probably the most popular spot to sip this most popular of spirits (and other agave-based elixirs) right now in the entire city. Mix has racked up a bunch of accolades, including the coveted title of Best American Bartender of the Year at Tales of the Cocktail in 2015. (Leyenda was also a nominee for Best New American Cocktail Bar this year.) But she’s equally proud of her work with Speed Rack, a ladies-only nationwide bartending contest which she co-founded in 2011 that also raises money for breast cancer research. What spirit defined 2016 for you? SOTOL. It's so delicious and somehow transcends seasons. My bartender Shannon Ponche at Leyenda whipped up an amazing drink with it and tamarind liqueur, blanc vermouth, lemon, orgeat, and celery bitters, and it blew my mind. It is hard to tackle and tame at times but when you get it right, it's the most delicious thing out there. There is not much out there on the market, but what you can get is pretty exciting. I'm excited to see the category grow. What’s the craziest thing that happened in your bar this year? Most of time, “crazy” in our bar means a fight breaks out or some guy passes out in the bathroom and we have to kick in the door. But this one night, something much better happened. As anyone who has been in Leyenda knows, it's not that big! On Friday and Saturday nights, we really get pumping and we're very busy. One of these nights, a couple got up in our church pew seating, moved over a table or two and started salsa dancing. Not only were they amazing but they somehow fit in the space and moved around it! I gathered they were dance teachers because they were so fantastic. What drink are you ready to retire in 2017? I would like to retire the half-hearted bartender’s choice. Frequently you see people go out, they are overwhelmed by a menu and don't feel like looking at it and just trust the bartender to make them something good. It can be an annoying question -- “What’s good?” -- but it's our job to make something memorable. Do it well! Don't just make a half-assed attempt. Other than that, I'm ready to see the Aviation go away. It tastes like dish soap. Chris Shott is Thrillist's Senior New York Editor. Follow him on Twitter and Instagram.